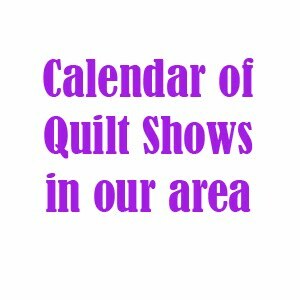 In July, the participating guild members brought the traveling quilt blocks back to show what they added in the latest round. 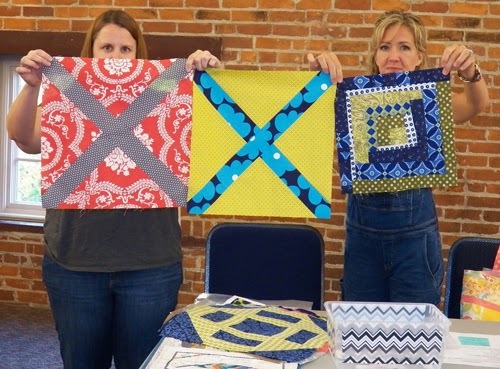 Amy made some X blocks to go with Janine's O blocks, on the table. 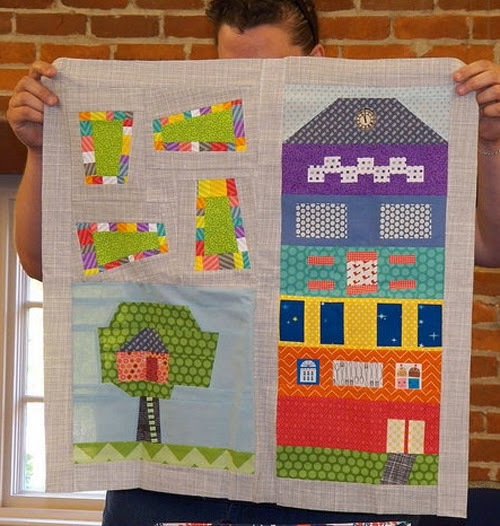 Brooke added a block to Kayla's home quilt that represented the apartment and tree-house dwellers of the world. 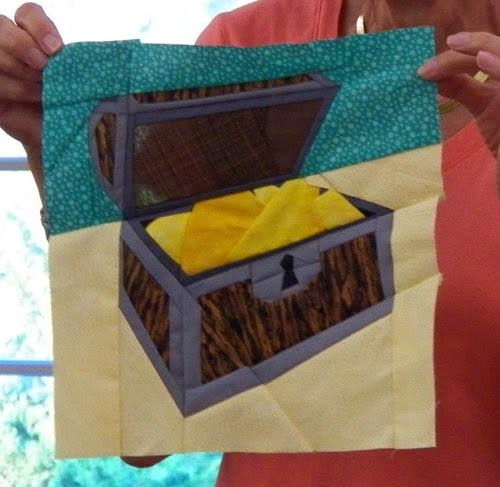 Carole added this paper-piecing treasure chest to Brooke's pirate quilt. 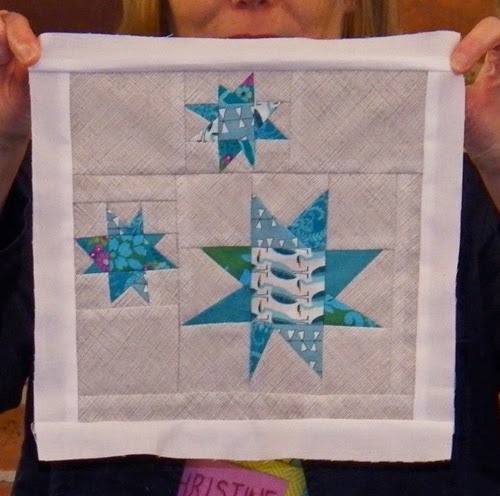 Christine added a wonky stars block to Kim's quilt of mini quilts. 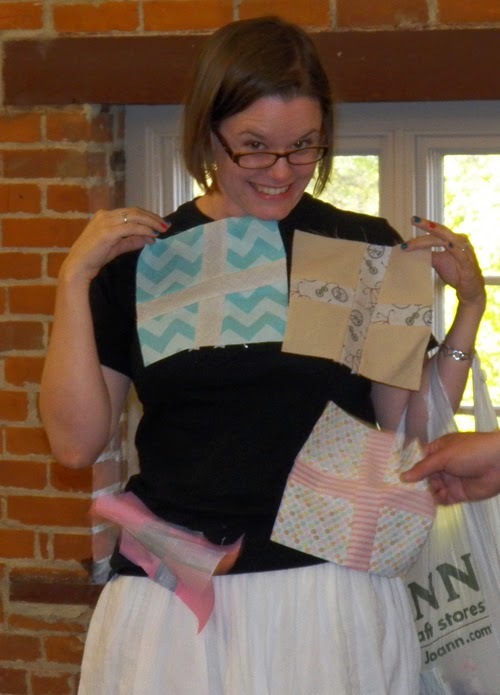 Christy added these blocks to Michelle's quilt. 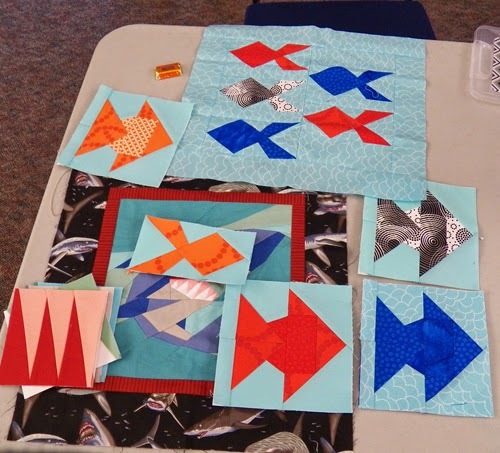 Ellen made an adorable school of fish for Christine's shark quilt. 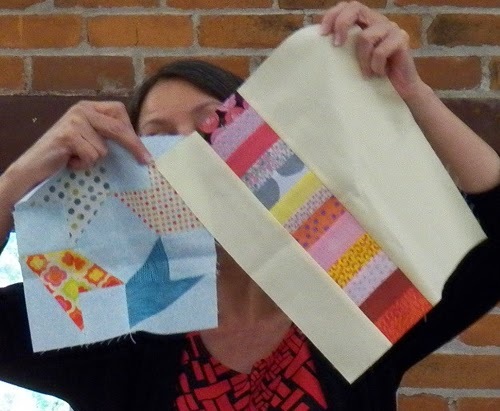 Janine added a variety of blocks to Amy's modern sampler quilt. 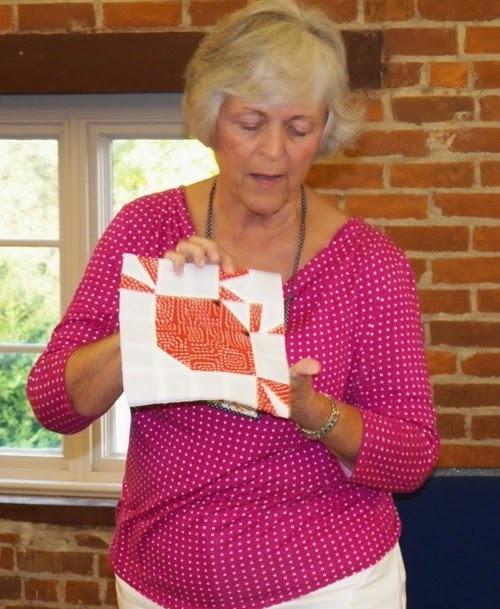 Kathy made this cute paper-pieced crab for Christy's nautical quilt. 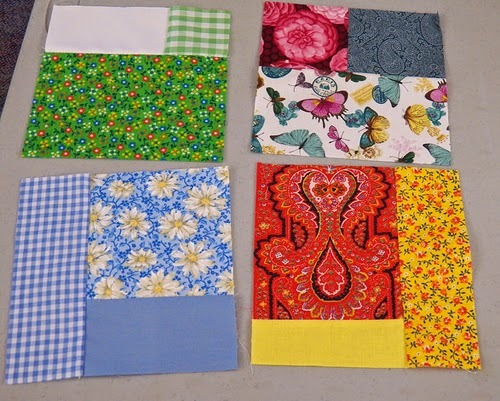 Kayla made some improv blocks for Gillian's low-volume quilt. 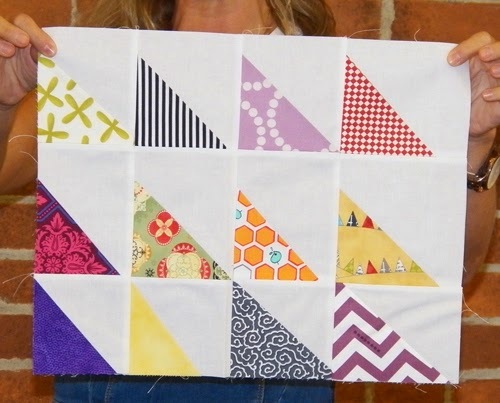 Kim added these blocks to Teresa's quilt. 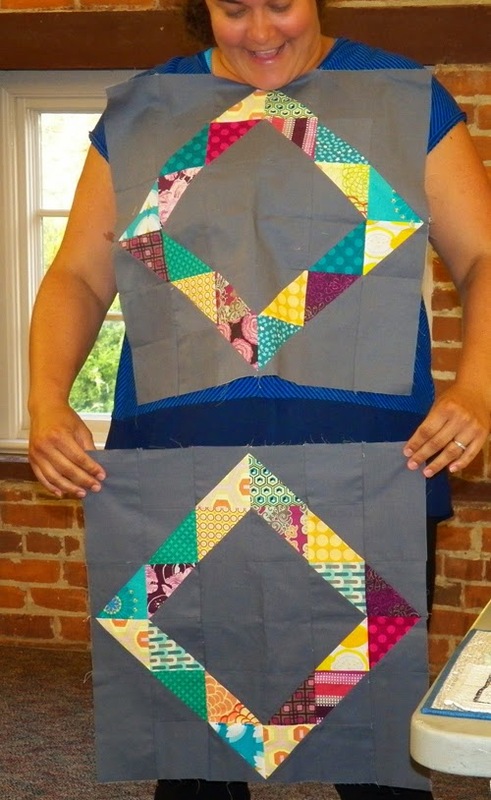 Michelle made this pretty block for Kathy's quilt. 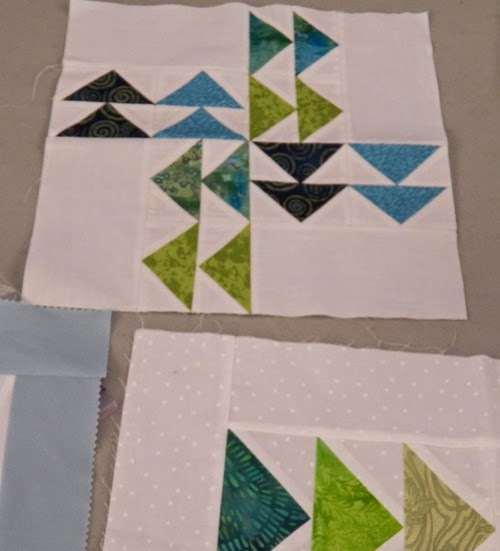 Teresa made the top block for Kay's flying geese quilt (part of the original block is in the lower right). 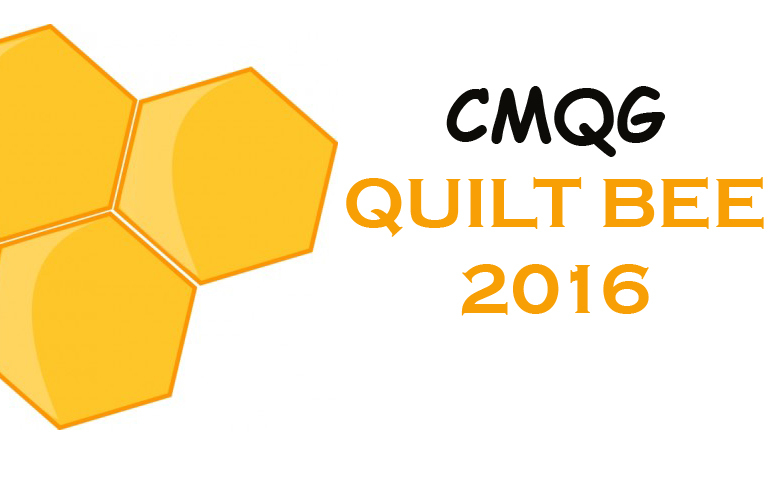 We'll be showing off the next round of blocks at the September meeting!